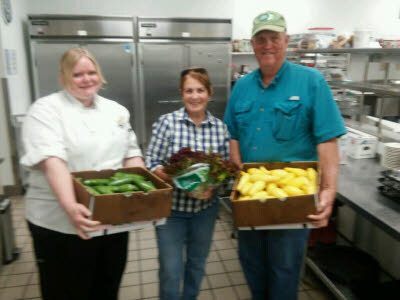 Morning Pointe Senior Living announced its new latest initiative aimed at making mealtime memorable for residents through locally-grown, farm-fresh vegetables and fruits. The new dining services program will emphasize regionally grown produce for Morning Pointe communities through partnerships with farmers near Chattanooga, Knoxville and Nashville, and Lexington, Ky. Morning Pointe has formed a partnership with Chattanooga-based Crabtree Farms, which focuses on sustainable farming and agricultural education. “We are proud to not only offer delicious and nutritious meals, but also local ingredients that reminds our seniors of life on the farm or homestead,” said Mike Woods, corporate dining director at Morning Pointe. From late Summer through mid-Fall, food services directors will order in-season local produce to be put on every plate, incorporating the ingredients throughout the day’s meals as well as the “always available” menu. 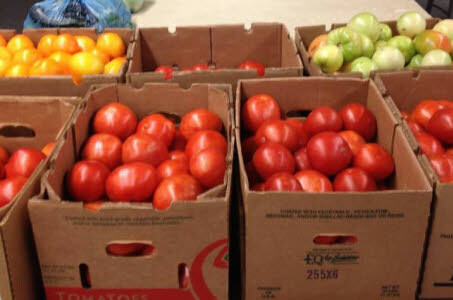 Morning Pointe has been building relationships with local farmers and growers for several years to implement the new program in its 28 senior living locations. Morning Pointe’s food service directors were prepped for the new initiative with a daylong educational seminar in Knoxville, led by Jen Russomanno, co-owner and operator of 2 Chicks and a Farm and Garden Delivery CSA. 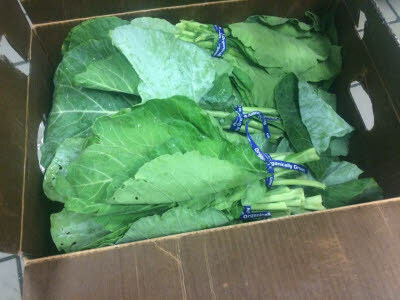 According to the USDA, consuming fresh fruits and vegetables are beneficial to both shoppers and farmers, not only because the food is higher in nutrient and antioxidant value, but also because buying fresh, in-season produce boasts economic benefits by keeping dollars local. But the notion to eat locally is nothing new to the seniors, who tended to gardens and grew fruits and vegetables of their own. 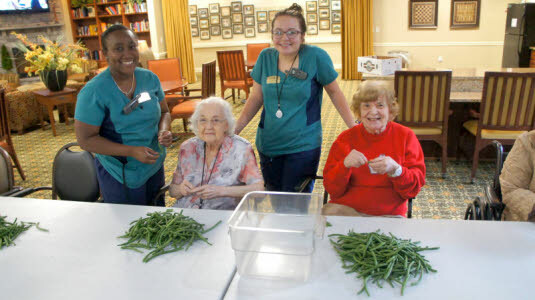 Bruce Fisher, senior food services director at Morning Pointe of Lexington-East (KY), says the residents at his community are given opportunities to assist with the preparation of their meals, from snapping beans to shucking corn. Dining services is a part of The Lantern at Morning Pointe’s purposeful programming, and Mr. Fisher and Woods agree that fresh food is effective in recalling the seniors’ positive life experiences. The farm to table initiative is currently in place, and will be a model for Morning Pointe’s new senior campuses moving forward.